Drain the lychees, reserving the liquid. Place the lychees and coconut water in a large bowl and, using a hand-held stick blender, blend until smooth. Strain through a sieve ­and pour into 12 x 30ml-capacity ice cube moulds. Freeze for 3 hours or until frozen. Pour the lychee liquid, tequila and ice in a cocktail shaker or large jug and shake or stir. Thinly slice the remaining vanilla beans and divide between 6 martini glasses. 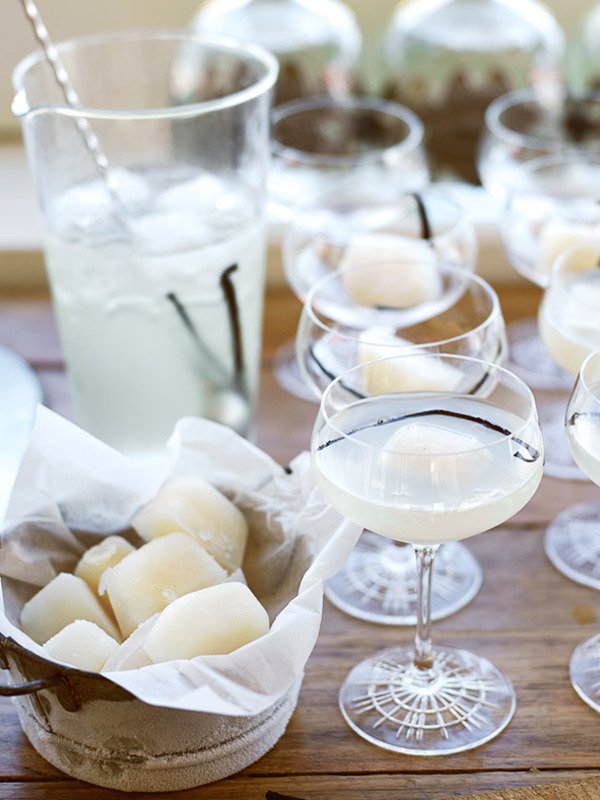 Pour over the martini and serve with the lychee ice cubes. Makes 6.